The South Korean K League 1 kicked off once again last Thursday. The rest of the action then took place over the weekend. The first round of games started off in predictable style as defending champions Jeonbuk Motors got off to a winning start prevailing 2-0 against Ulsan. Elsewhere a game against two teams aiming for top-six finishes Pohang Steelers vs Daegu FC ended 3-0 for the home side. Meanwhile, it was also a bad week for Suwon Bluewings as they lost 2-1 to Jeonnam Dragons. A special mention should be made for the K League 1 newcomer Gyeongnam as the newly promoted side won 3-1 beating playoff survivors from last season Sangju Sangmu. Along with this their Brazilian attacker Marcão (pictured above) picked up a hat-trick in week one of the new season. Jeonbuk Motors started the new season with a 2-0 win against a team that would be hoping to challenge them this season is a great first three points for them. 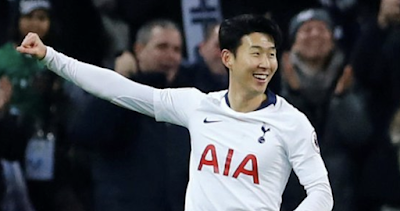 It did, however, take the home side until the 62nd minute to go ahead and they didn't make it 2-0 till the 86th minute through a Han Gyo-Won goal with a shot from just inside the box. The Suwon Bluewings defeat will be a sore one for the home side as after losing in their Champions League match also their seasons not started well. However, after a very poor ending to last season for Jeonnam Dragons this is a great start for them and with the winner coming in the 91st minute also it will make it feel even sweeter. The first weeks biggest surprise was a win for Jeonnam Dragons with this maybe indicating they are in fact a team to look out for this season. Time will tell however if this is right or it was just a good first week for them. Meanwhile once again it looks like Jeonbuk Motors will be at the top or near the top all season again.